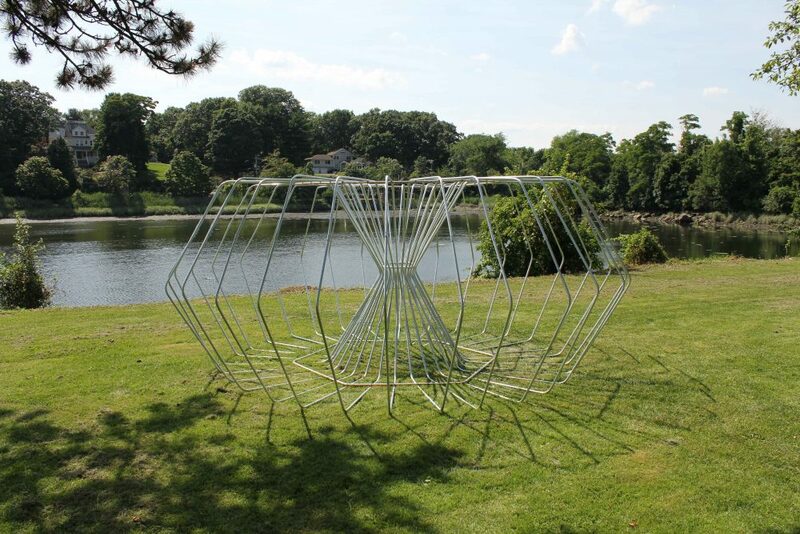 Ben Rousseau created the “Torus” light sculpture for the Greenwich Harbour 1st annual arts symposium curated by Mary Gibbons. 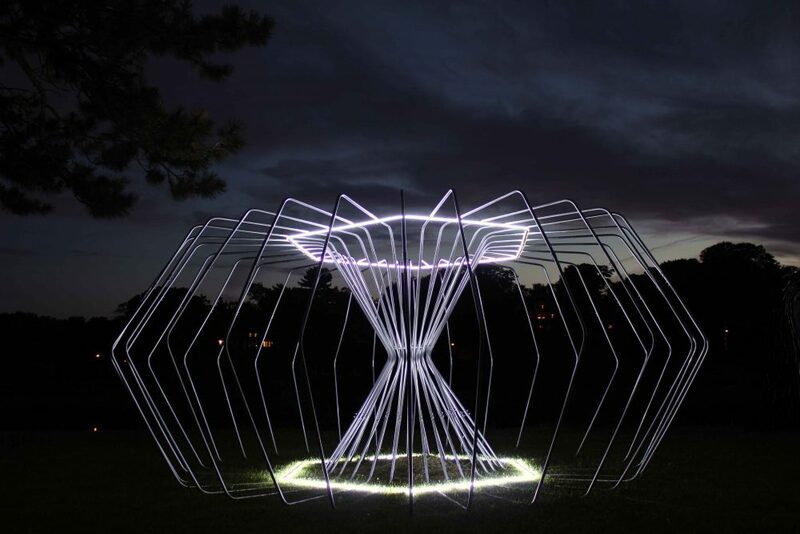 This sculpture was a dedication to a recently lost friend, who had greatly influenced his recent work. 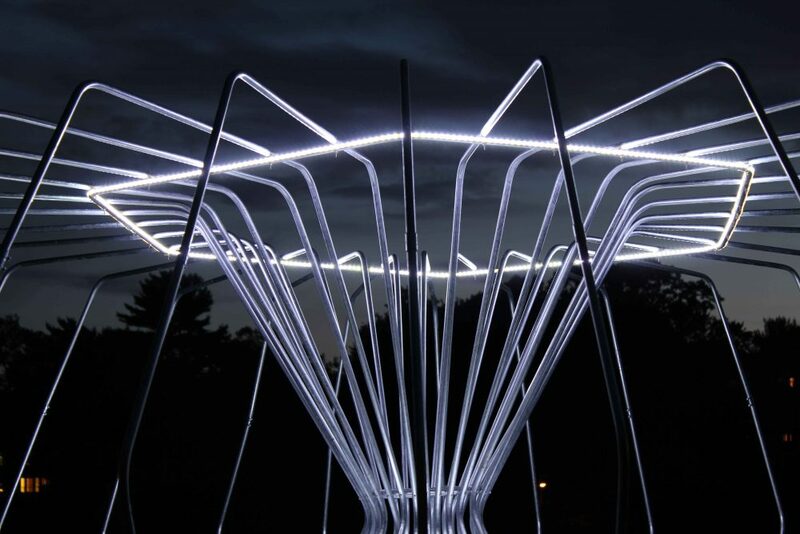 The structure was hand formed using galvanised steel tubing and highlighted with IP rated LEDs. 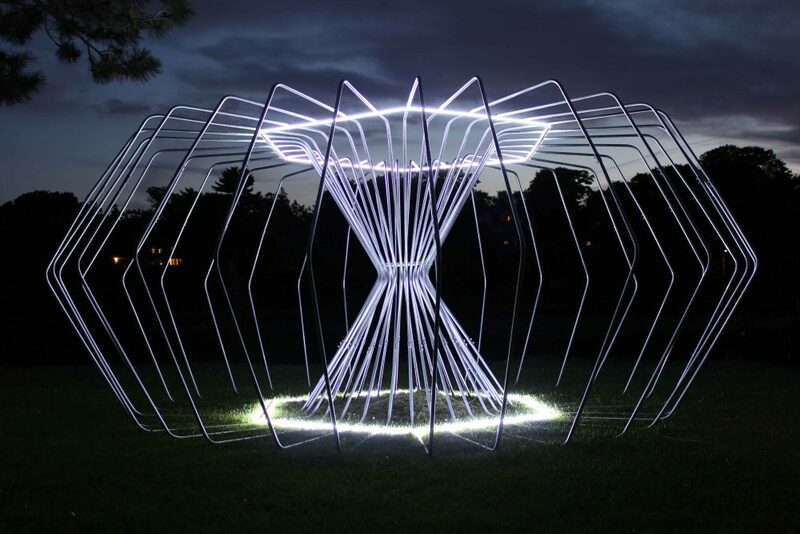 The sculpture is basically a representation of the many cycles of life. Each ring represents a path that starts in birth and ends in death. The light shining around the sculpture is the positivity in these journeys and is a celebration of every individuals life.